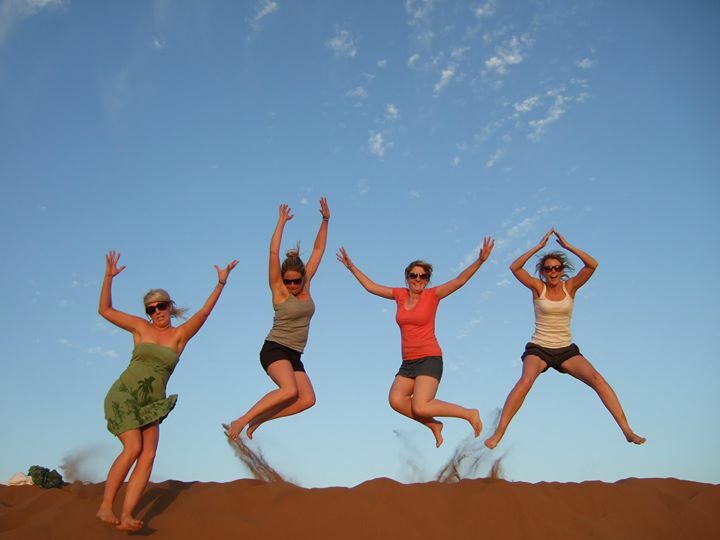 This 4 days Marrakech to Merzouga tour can make you feel relaxed and calm. You can enjoy a camel ride through the sand dunes of Sahara and you will be accompanied by an experienced guide for the camel tour. 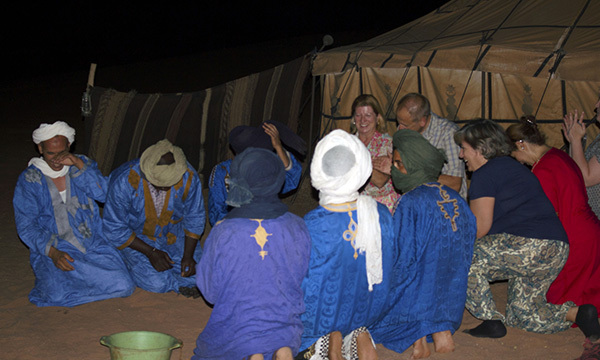 On this desert trip you will also get a chance for experiencing desert life first hand, as a nomadic tent will be arranged for you where you can spend the night in desert. 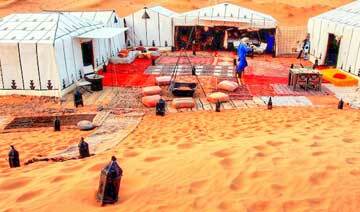 Experience nomadic life in desert and ride camels across the dunes of Erg-Chebbi. Discover famous film locations, See historic Kasbahs, drive through stunning gorges, and spend the night in a nomadic tent. 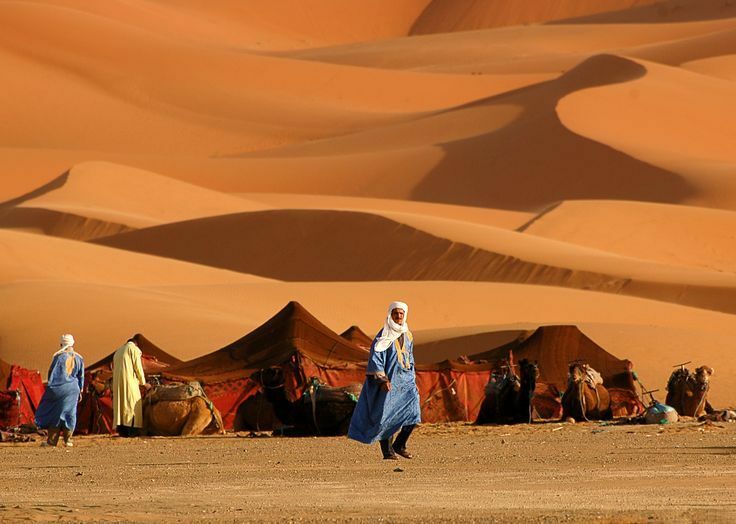 Furthermore, in this 4 days Marrakech to Merzouga, you can make friends with a Camel, “ship of the desert” and take a ride. You can also go for a search of nomad families. 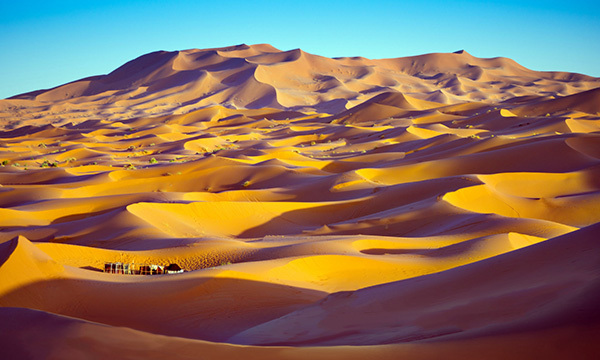 If 4 Days Marrakech desert tour to Merzouga itinerary that we offer does not match what you're looking for, contact us and we will prepare the trip to your needs and requirements. If a long Morocco Camel trekking & overnight in the camp is not for you can still enjoy the sunset with a shorter Morocco camel ride and spend the night in the Hotel. We will pick you up from your hotel to start your adventure with an unforgettable drive from Marrakech to Dades Gorges across the High Atlas Mountains. 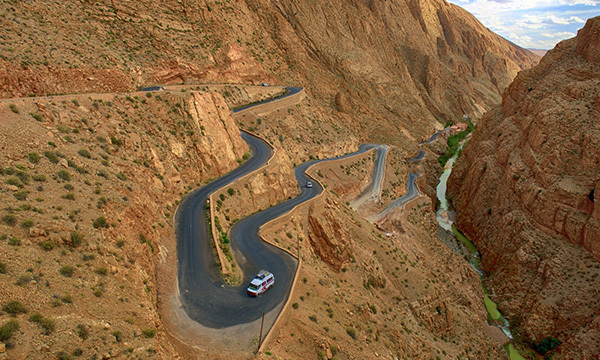 Ascend through the (2,260-m) Tizi N’Tichka Pass and see beautiful villages suspended on the flanks of the mountains. Then we proceed to Ouarzazate through the implacable stone desert, to visit the Kasbah of Taourirt and the well-known film studios. After lunch you will enjoy your drive through the Dades Valley along the famous one thousand Kasbahs Road, driving through the fascinating town of Skoura, and on to Kelaat Magouna, famous for its roses. After you arrive at Boumalne Dades, enjoy dinner and settle in for the night. 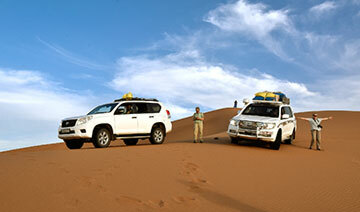 Depart in the morning for the ever-shifting landscape of the Merzouga dunes. After the oasis of Tinghir, travel through palm groves towards the Todra Gorges. Here, limestone cliffs appear like an opening, carved through the spectacular peaks of the Todra Massif, before diving down to the flatbed of a river. The peaks rise up to (300 m) above Todra gorges, which meanders from its source in the High Atlas Mountains. Walk through the gorges and palm groves at leisure. After lunch, continue to the palm groves of Tinjdad and Erfoud. 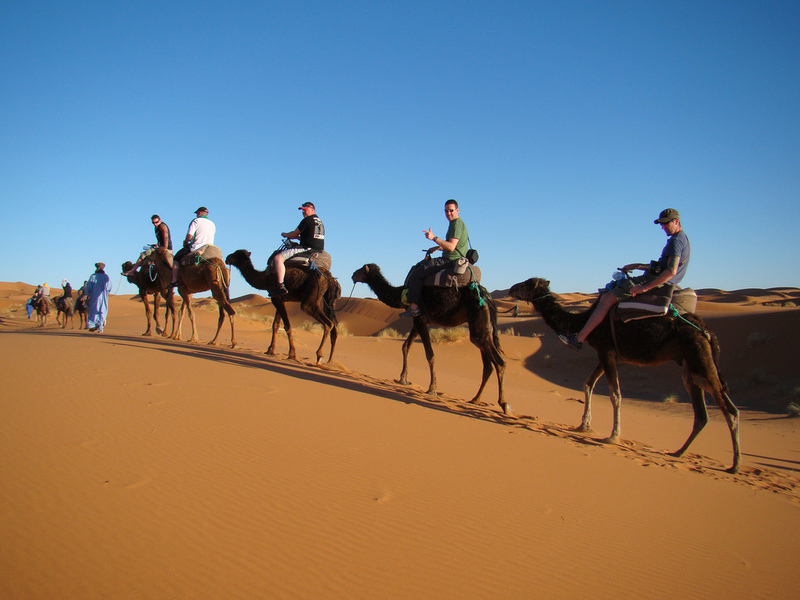 The tour will then continue to Merzouga, where you will enjoy a camel ride through the fascinating dunes of Erg Chebbi. Pause to watch the beautiful sunset and see the sand dunes shift like moving sculptures in the form of draperies. Watch as the colors vary according to the intensity of the light, and see how they act like the living walls of the desert, the highest reaching a magnificent (150 m). 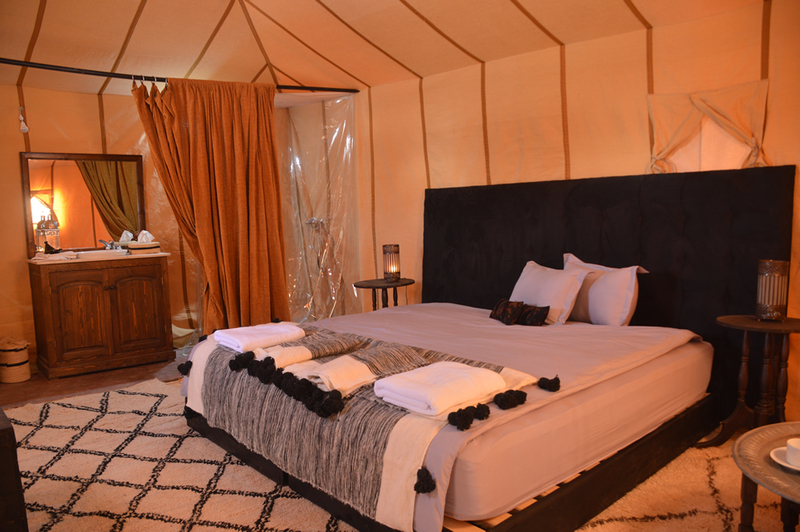 Spend a magical night under the stars in nomadic tents. Wake early for a camel ride to watch the impressive sunrise. Then head back to the hotel to freshen up and have breakfast. Depart towards the Palmary of Tafilalet and the town of Rissani, where the Alaouite Dynasty originated. Explore the ancient capital of the Alaouite Sultans before continuing to the village of Alnif, where we will take the road that crosses the Jbel Saghro Anti-Atlas chain. Notice the greyish-black mountains of different and remarkable shapes as you continue to the main Berber village of Tazzarine and N’kob and then drive into the Draa Valley with its rows of stately palms. In the late afternoon, drive to Ouarzazate via the Anti-Atlas Mountain, through Tizi N’Tniffift. 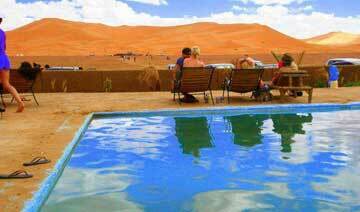 You will spend the night at a Riad or Kasbah in Ouarzazate. 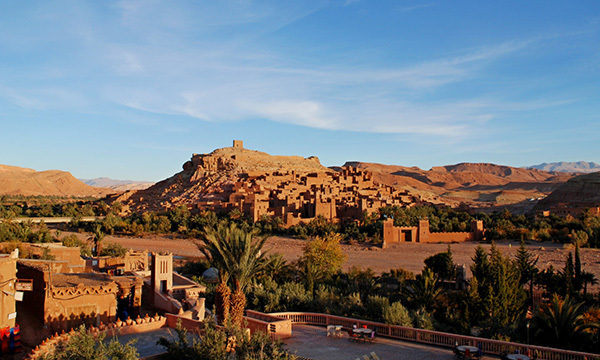 Leaving Ouarzazate in the morning, we will visit a registered UNESCO World Heritage Site of Ait Ben Haddou, the most impressive Kasbah and well-preserved fortress in Morocco. The site has been the location for many film shoots including “The Mummy,” “Gladiator,” “7 Days in Tibet,” “Alexander the Great,” and “Babel. ... Leave Ait Ben Haddou and heading towards the majestic Atlas Mountains. 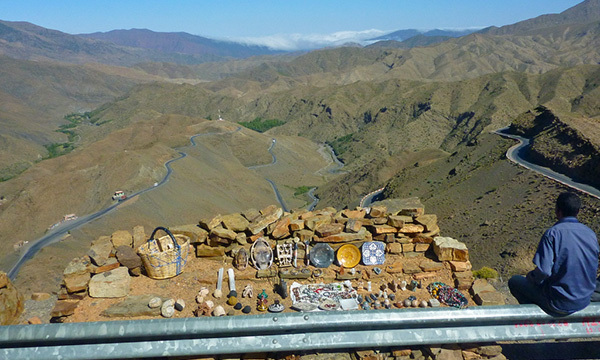 Crossing the high Atlas Mountains via the highest road pass in Morocco Tizi N’Tichka 2260m high, offering impressive views over valleys, mountains and many other Berber villages nearby. Arrive in the evening.